Shibuya is the station, where I use the most in my life. I go shopping, meet my friends for lunch and dinner, see the movies and go to Karaoke there. I went to Shibuya almost every day when I was a school girl. Shibuya and Harajuki are the birthplace of youth culture. Shibuya is one of the busiest areas in Tokyo. There are many screens in Shibuya. It's really noisy but energetic. The intersection in Shibuya is very famous for the crowds of people. After international soccer game or Halloween night, young people has a lot of fuss all thought the night. This is the statue of Hachiko. Hachiko is a Japanese dog Akita-inu. 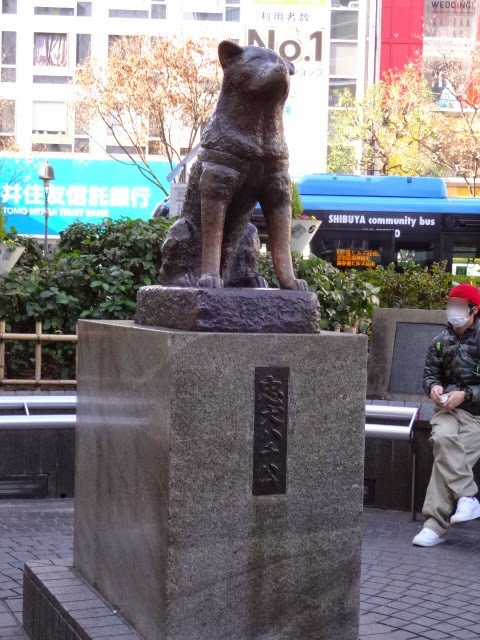 Hachiko has a famous story, which Hachiko was waiting for his deceased owner's return in Shibuya station for many days. This story was filmed in Japan and Hollywood too. I often see many tourist take a picture with Hachiko. Actually it was so difficult to take a picture of Hachiko without people. The circular cylinder shape building is SHIBUYA 109. New trends for Japanese teen come from here. The shop staffs are the charismatic for teens. Here is Shibuya Center Gai in Udagawacho. There are many restaurants, bar, fast food and amusement arcade. PAROCO is the fashionable department store. I wanted to go to the Pokemon cafe in PAROCO. But I had to wait for 3 hours... So I gave up waiting. You can buy the Disney products in the Disney store in Shibuya. But I strongly recommend that you should go to Tokyo Disney Land. It's amazing!! Here is Tower Records. I do love music. I usually search & buy music online. I haven't been to Tower Records or HMV for a long time. Some artists hold an event here. The way beck to the Shibuya station. I often see that TV crew interviews people walking around the Shibuya station. 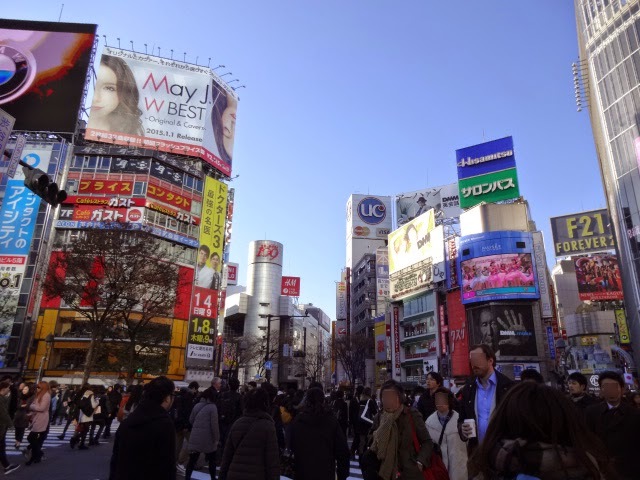 Shibuya is a good place to visit to see the modern Japan. I hope that I will introduce many nice shops next time.